In a great green room, tucked away in bed, is a little bunny. "Goodnight room, goodnight moon." 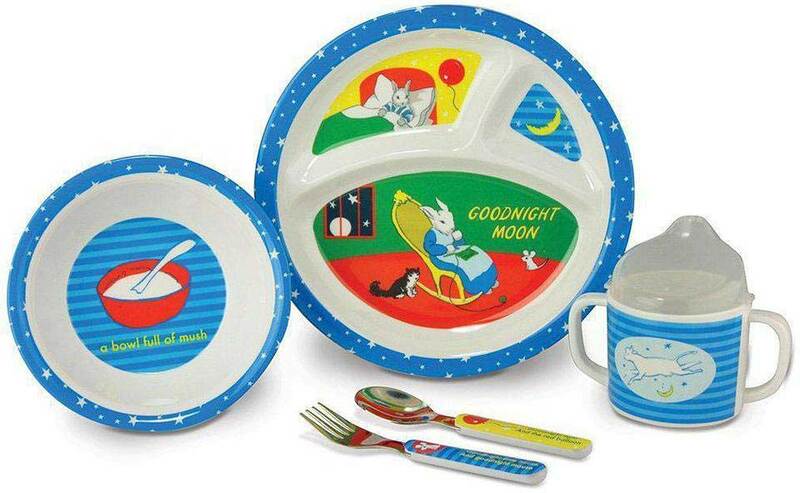 Everyone's favorite bedtime book is brought to life with this Goodnight Moon 5-Piece Melamine Dish Set. 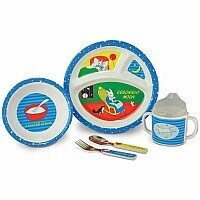 The set is decorated with features from the famous classic comes with a themed bowl, plate, sippy cup, fork, and spoon. Now mealtime is more fun than ever! Measures approximately: 12.00 x 3.75 x 10.00 inches..